RIORDAN Grain will have loaded six export ships of bulk wheat and barley at Geelong by the end of June — with not a cent paid in penalties for slow loading.Two wheat and two barley shipments totalling 96,000 tonnes have been loaded since the company began the export shipping operation in February, with another two vessels scheduled to sail in June. Riordan Grain principal Jim Riordan began his own shiploading in February after GrainCorp told him it was booked out until September. Mr Riordan said all six ships were loaded with grain his company had bought from farmers and other traders. He said the shipments — his first exports of grain in bulk — allowed him to “control his own destiny”. Mr Riordan said other grain exporters had contacted him to load vessels, but he decided to stick to his own grain at this stage. “All vessels departed before time,” he said. Unlike GrainCorp’s network, Riordan Grain has no rail access to the dock it was leasing, so grain was taken to the dock by road. 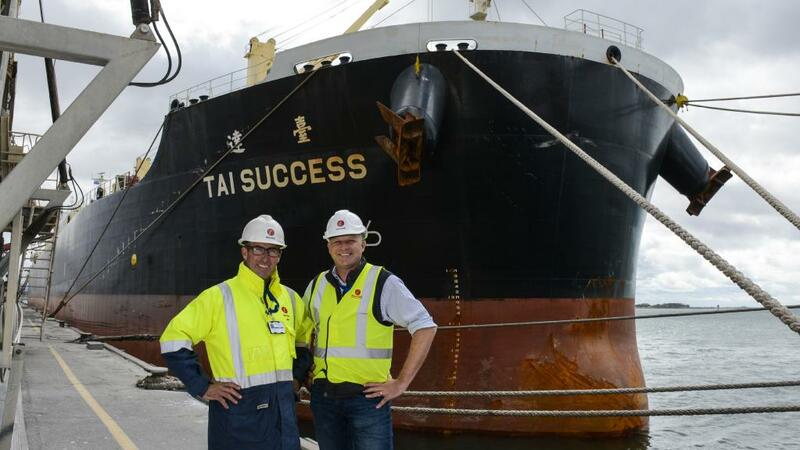 The company used 150 B-double trucks to load 23,000 tonnes of barley on to the first ship, the Tai Success, in February. Mr Riordan is accumulating grain at port for the next two ships, due in June, but weather is affecting operations. He said the recent rain in country areas had made it difficult to get grain out of bunkers.